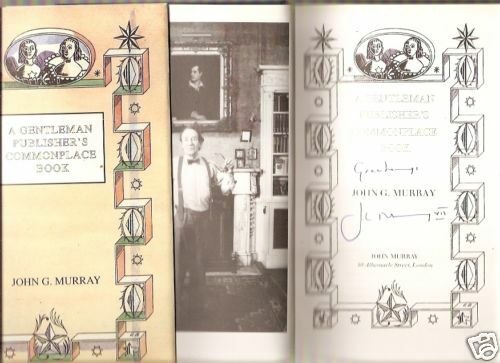 Here you will find unusual books on collectible subjects including books and media that are collectible in themselves. 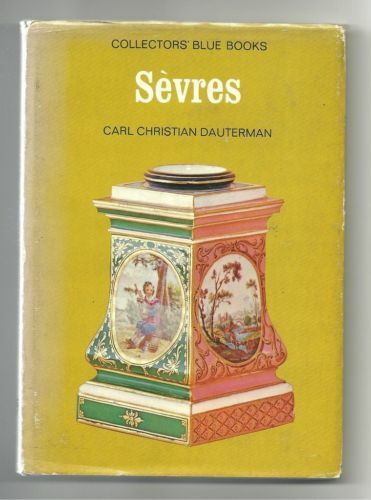 Title: Porcelain of SEVRES by Dauterman 1970 COLLECTORS BLUE BOOK Series with Colour & B/W PHOTOS - ART & ANTIQUES - REFERENCE. Condition:Blue cloth-bound hardcover with silver title to spine, slight rubbing to spine & corners, no inscriptions, CLEAN & TIGHT in GOOD CONDITIION, in a clipped GOOD DUSTJACKET with slight foxing to inside, slight fading to spine, a few tiny tears & rubbing. Title: 1845 Mechanic's Calculator comprehending Principles, Rules and Tables in the departments of Mathematics and Mechanics. Author: by William Grier, Civil Engineer, tenth edition, corrected and greatly enlarged. Published in 1845. Millwrights, Engineers and artisans in general. Publisher: Blackie & Son, Queen St., Glasgow, MDCCCXLV (1845) small Hardcover 8vo with rubbed marbelled stiff covers & worn leather corners & spine gilt title 344pp. +tables. Description: This is an OLD 1845 calculations book for workmen with many diagrams and tables "The Mechanic's Calculator comprehending Principles, Rules and Tables in the Departments of Mathematics and Mechanics useful to Millwrights, Engineers & artisans in general". Publisher: Routeledge & Kegan Paul Limited, London, 1967, First UK Edition, (USA edition 1951) 157pp hardcover quarto with dj, b/w illustrations, analysis of advertising. Condition:Crisp black hardcover with gilt title to spine, no inscriptions, STRAIGHT, TIGHT and CLEAN in GOOD CONDITION in a clipped GOOD MINUS DUSTJACKET with rubbing and edgewear. No inscriptions. 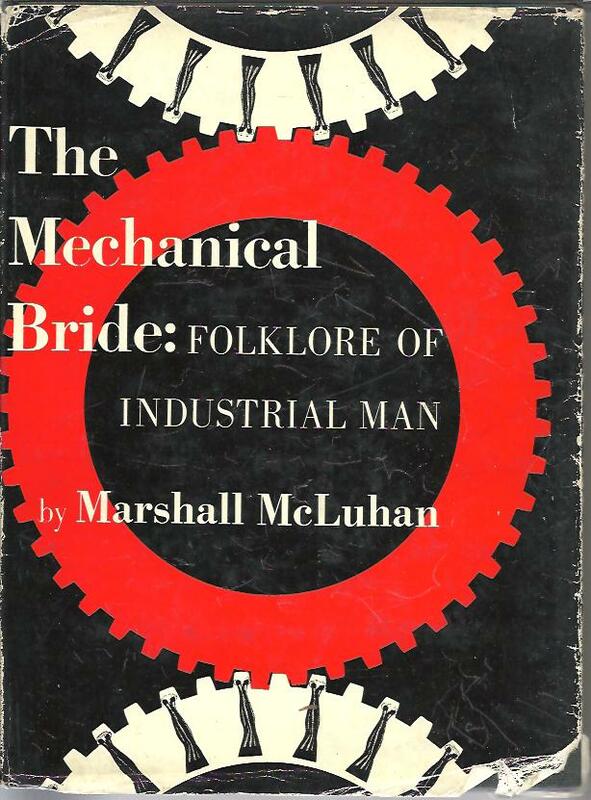 Description: Any informed discussion of advertising and communication centres around the writings of Marshall McLuhan.The Mechanical Bride is a brilliant study of illustrations and copy in which the actual advertisments are printed and then stringently commented upon. 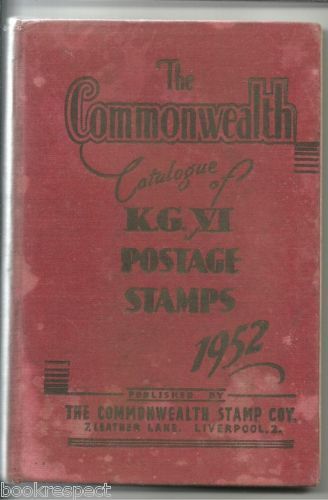 Description: Detailed and specific information on the stamps of every country in the Commonwealth. Includes all Commonwealth stamps issued during the reign of HM King George Be sure to add me to your favourites list ! Author: C.S. Lewis - regarded by some as "The greatest religious apologist of the modern era". Description: 1. Surprised by Joy The shape of my early life pub. Fontana Books, 1960, 190pp., softcover 8vo pb, 15 chapters. 2. Reflections on the Psalms pub. Fontana, London, 1962, 128pp., softcover 8vo pb, 12 chapters, appendices. Author: RALPH HANDCOCK and MARGARET SMITH , B.A., Dip.Ed. Publisher: Dymock's Book Arcade, Sydney, 1959, second edition, 1st pub. 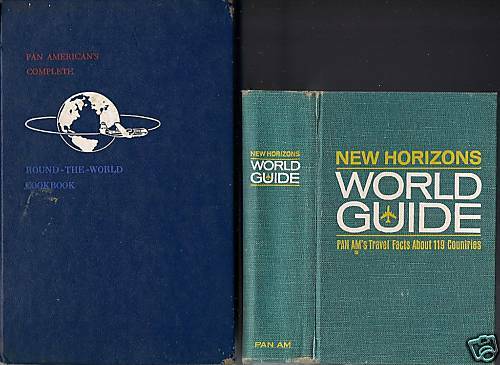 1955, hardcover large 8vo with d/j, 58 pages, B/W PHOTOGRAPHS, 2 colour plates, 7 Chapters, Appendix. Condition:Beige cloth-bound Hardcover with title to spine & frcvr, rubbing to spine & corners, CLEAN & TIGHT in GOOD CONDITION, no inscriptions, with slight age-toning to eprs, in an unclipped FAIR-GOOD DUSTJACKET with several tears, rubbing & edgewear & stains. 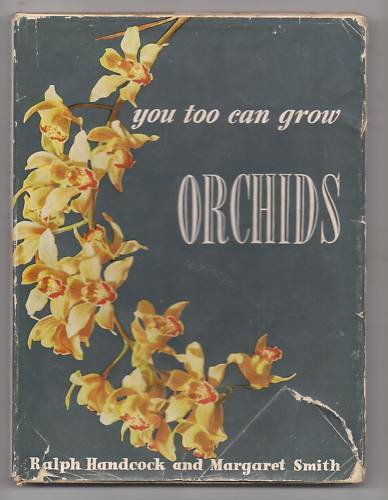 Description: All you need to know about growing exquisite orchids from this well-known work on their growing and care.